Love is in the air and we cannot let Valentine’s Day pass us by without creating some sort of holiday related items. 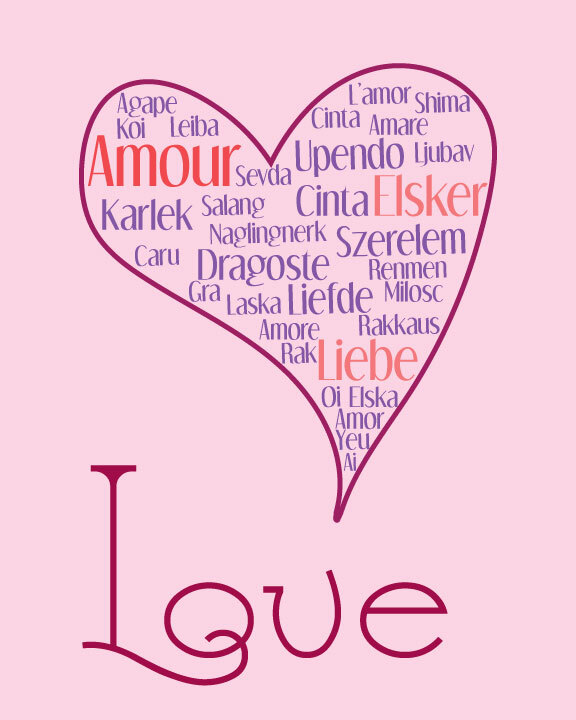 With all that has been going on around here lately we did not have time to create an entirely new DIY project to share, but we did create this cute printable spreading love in many languages for you to download and print at home. Click here to download Love in Many Languages. However, if you are looking for a quick project for your significant other try making a set of Valentine’s Day Scratchers or set up a Romantic Valentine’s Day Picnic surprise. If you are here in AZ the weather is perfect for a picnic!